The condominium market has been steadily rising since the 1980s. When first introduced condominiums were labeled glorified apartments. Buyer demand, locations, and lifestyles have dismissed that antiqued concept. All types of buyers purchase condominiums. First-time buyers, seasoned buyers,empty-nesters, and investors. Purchasing a condominium as versus to single family home is different. Owning a condo there are homeowner association rules and regulations. Owners live in close proximity to others. There is an additional fee. This fee is the homeowner association fee. Before purchasing a condo understand exactly with is involved financially and condo lifestyle. 12 Tips Buying Condominium Complete Guide. When buying a condo, owner purchases title of the unit up to walls. The common elements of the complex are jointly owned. Covenants, Conditions, Restrictions, and Easements (CC&R’s). The CC&Rs will tell buyer’s ownership of the individual unit. CC&Rs will disclose common elements. Common elements vary among condo associations. What Is A Planned Unit Development (PUD)? What are HOA Fees? Condominiums are in Planned Unit Developments (PUD). PUDs neighborhood of residential and commercial properties. Most common are a condominium, townhouse, and home PUD projects. The PUD project is operated by a homeowners association (HOA). Homeowners have monthly or quarterly fees. Referred to as HOA fees. Generally, based on square footage of unit. HOA fees cover amenities, maintenance, and reserves of the homeowner association. HOA fees are common in all condo projects. Homeowners Association Fee. Condominium association determines the monthly fees per unit. Condo fees generally based on the number of units in complex, size of your unit and projected expenses for complex maintenance and repair. Homeowner association fee is the cost paid by condo homeowners. Cost pays for maintenance of common areas. MLS listings have the monthly HOA fees. Homeowner HOA fees can vary from $400.00 to $1,200.00 per month in West Los Angeles and Beach Cities. Mello Roos Fee new developments. Mello Roos is a 40-year bond that allows financing for infrastructure, public improvements, and services. 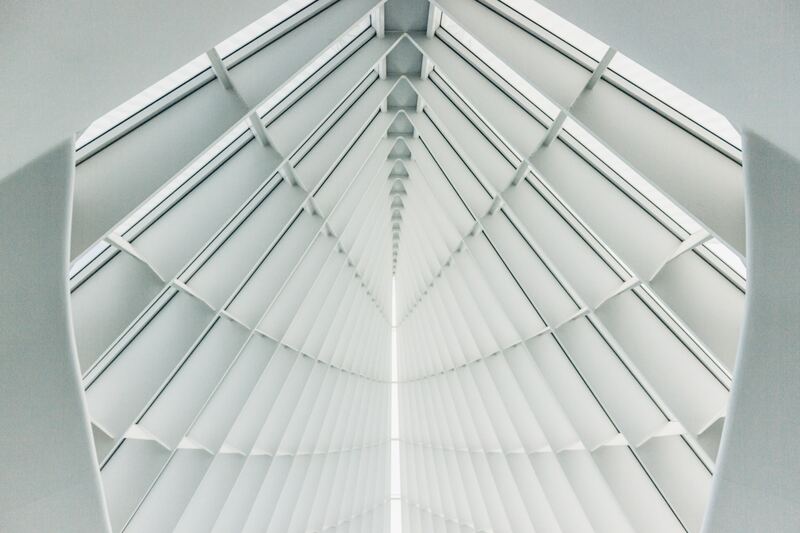 These improvements and services include streets, sewer systems, police and fire protection, ambulance services, schools, parks, libraries, museums and other facilities. In addition to property taxes average 1.25 % of sales price, supplemental Mello-Roos taxes are added. The Mello Roos tax can decrease or increase.Example Playa Vista Silicon Beach new development has Mello Roos Fees. Mello Roos is an additional fee. What is Mello Roos? Covenants, Conditions, and Restrictions (CC&Rs) govern condominium complexes. The rules vary from one development to another. There may be restrictions on rentals, pool times, pet ownership, noise levels, renovation of exterior windows, doors. CC&Rs enforced by the condo association. Prospective buyers read CC&Rs after the acceptance of an offer. In the due diligence period. Buyers can determine if comfortable with CC&Rs. If not comfortable can cancel escrow. How solvent is the association reserves. Complexes with high reserves determine associations ability to met unexpected repairs. Associations with low reserves may be a RED flag to a prospective buyer. Homeowners can be hit with an unexpected assessment fee. The money has to come from somewhere. Has the complex been maintained in good repair? On individual units, buyers should always have a professional home inspection. It is unrealistic to expect the buyer to have the whole complex professionally inspected. On other hand, buyers should walk complex. Look for deferred complex maintenance. Are there pending legal actions? Are there any disputes between owners with developers or association? What is a special assessment? A special assessment is a large fee charged to pay for the large project in the project. Generally, it is structural. Examples like roof replacement, total exterior siding, replacement of all windows, etc. Condominium monthly fees may increase for a period of time. Or each homeowner can be charged one flat fee due and payable. Buyers are aware if the complex has special assessment presently or in the future budget. What Type Of Condominium Should I Buy? Buy the largest condominium that you can afford. Single and one bedroom have less appreciation value. If possible purchase a two bedroom two bathroom. The resale value is higher. Of course, more bedrooms and bathrooms will only increase resale value. Are you looking for a high, mid or low rise condominium? Are You Looking for a Low, Mid or High Rise Condominium? High rise complexes generally offer city, ocean, mountain view. Typically luxury condominium buildings. With a full host of amenities like concierge, valet, doormen, pool and more. HOA fees tend to be higher in high-rise condominiums.Marina Del Rey has four high-rise buildings. Marina City Club, Azzurra, Cove and Regatta Seaside Condominiums. Full-service condominiums. All offer city, mountain, marina and or ocean views. Mid-rise condominium building can have similar advantages of high-rises. But tends not to include luxury amenities like concierge or valet. HOA fees in mid-rise building tend to be less than high-rise fees. Mid-rise buildings are from 4 to 6 stories high. Some mid-rise complexes have more outdoor space than high-rise buildings. Marina Del Rey CA and Playa Vista Silicon Beach offer luxury mid-rise condominiums. Low rise developments have more a townhouse feel. There is more outdoor space. Depending on age and number of units the HOA fees are less than mid and high-rise buildings. 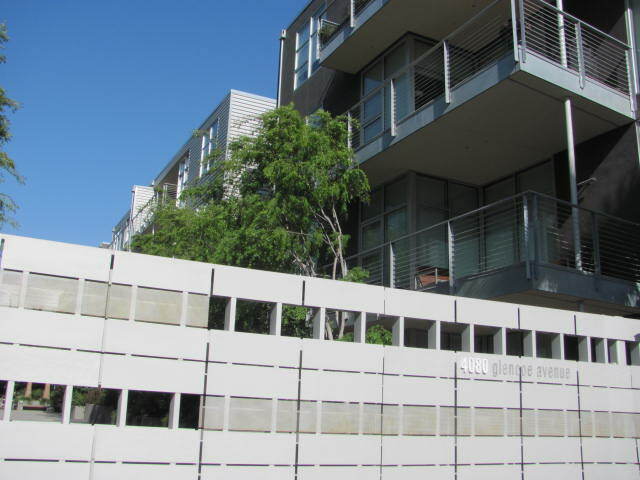 Playa Vista offers townhouse style condominiums. Marina Del Rey has community density of low-rise townhouses. Condominiums on the top floor higher resale value. Units with one common wall have the higher resale value. Avoid if possible unit facing trash area, garage entry or alleyways. Higher resale value if facing greenbelt and pool area. Walk and drive the neighborhood. What is the walkability of the neighborhood? Go to local shopping centers, cleaners, and coffee shop. See if you are comfortable in the neighborhood. Verify how many parking spaces your unit has. Are they side-by-side or tandem. Does the complex provide guest parking? If guest parking provided how many guest spaces? The first step for any prospective buyer is to obtain mortgage pre-approval. Go to a direct lender. Once obtaining pre-approval you will be aware of your purchasing power. Conventional financing is available for condos. FHA financing does not allow in many condominium complexes. The condominium complex has to be FHA pre-approved. View FHA condo approval requirements.Complete guide buying a condominium. 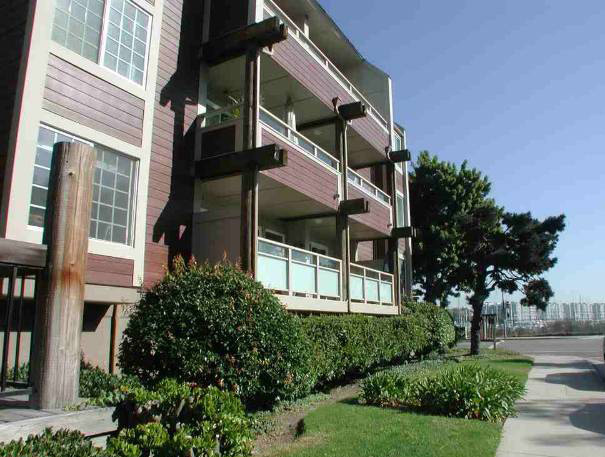 Searching for a condominium in Marina Del Rey, Playa Vista, West Los Angeles or surrounding areas? 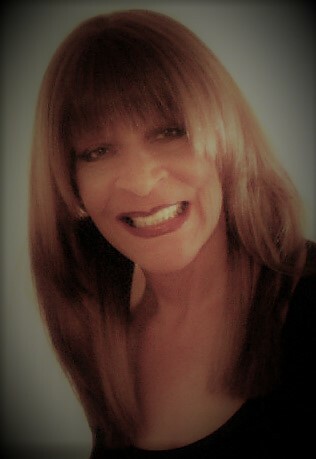 Do not have a top Realtor® contact me. 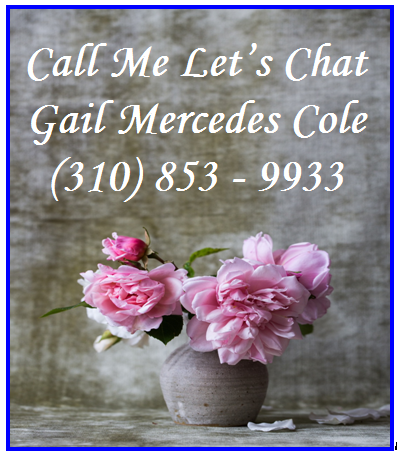 Gail Mercedes Cole call or text (310) 853-9933. I would love the opportunity to interview for the job! 12 Tips Buying Condominium Complete Guide “Selling Dreams and Lifestyles.” Coldwell Banker Residential Playa Vista/Westchester offices. 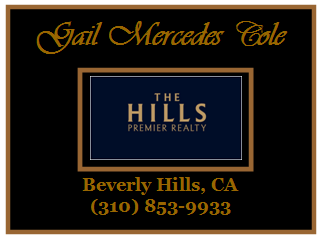 Areas of expertise West Los Angeles, Marina Del Rey, Playa Vista, Ladera Heights and surrounding areas. Call Let’s Chat! 12 Tips Buying Condominium Complete Guide. Buying A Condominium Complete Guide. Purchasing a condominium is different than purchasing a home. When first introduced condominiums were labeled glorified apartments. Buyer demand, locations, and lifestyles have dismissed that antiqued concept. All types of buyers purchase condominiums. First-time buyers, seasoned buyers,empty-nesters, and investors. The greatest perks are the amenities included in condo ownership. Amenities like pools, spas, tennis, and security. High rise condominium has ocean, city, mountain and or marina views. Some units of the ample living space of a home. There are additional fees. The HOA fees to maintain the complex. There are livable restrictions. Condominiums provide affordability and a luxury lifestyle.